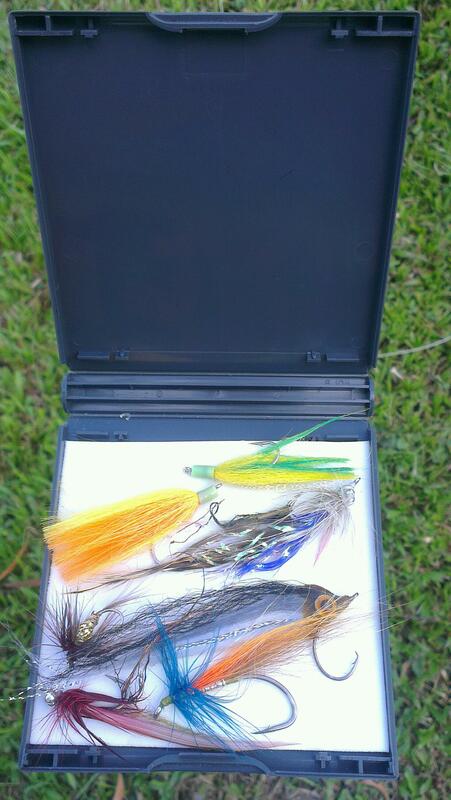 Just thought of trying out Spin Fly Fishing. 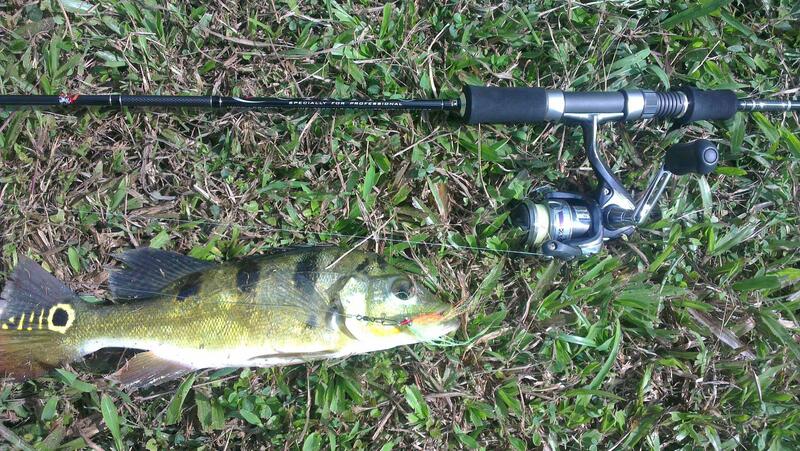 When the PB took the Fly,i thought that the Rod was going to break.I was using a Ultra Light Rod. Braided line,swivel clip,sinker,swivel clip,leader(6lbs Mono)swivel clip,Fly. Believe you me,it is a very different feeling when the fish takes the Fly. Good catch of the Peacock Bass on spinfly, Ping is definitely the person to get advice on it. Care to share the picture of the fly you've tied? 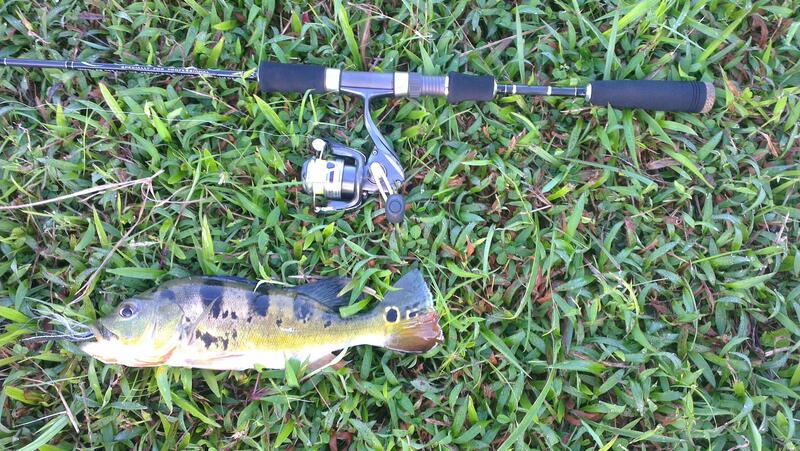 Peace wrote: Good catch of the Peacock Bass on spinfly, Ping is definitely the person to get advice on it. Care to share the picture of the fly you've tied? It's very nice, thanks for sharing your fly with us. What did you use to hold the feathers onto the hook? It looks like some sort of resin. 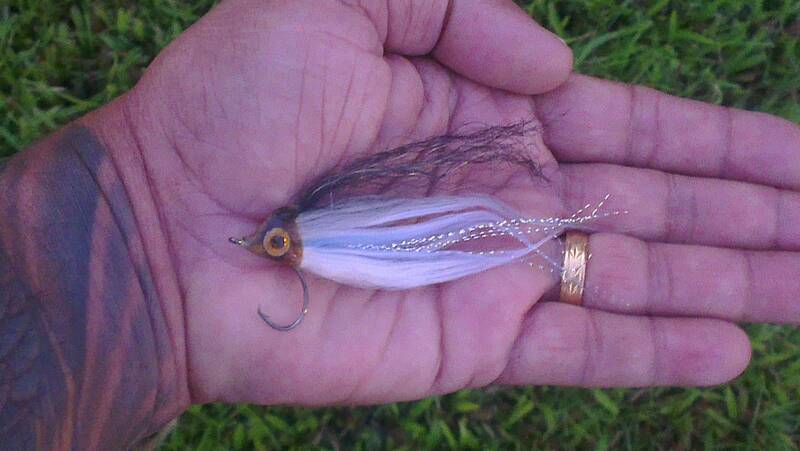 Peace wrote: It's very nice, thanks for sharing your fly with us. What did you use to hold the feathers onto the hook? It looks like some sort of resin. I was given a handful of flies by my friend and this was one of them. Ah I see, you've got a nice friend. It looks well made. Peace wrote: Ah I see, you've got a nice friend. It looks well made. They're beautiful, I noticed that the fly you caught the bass with was using a circle hook. How does it fare comparing with other types of hooks? You are most welcome bro Kishore Nice catches there! Welcome to the world of spinning fly! Glad to see you enjoy it. that's why til now my lures are hanging dry and I am hooked on spinning fly. You may want to try hunt for Temensis as they are better fighters over the common PB. ping wrote: You are most welcome bro Kishore Nice catches there! After this catch lost all three flies.Could not hold the fish. Lost the flies,with the leader because the bites were coming in Fast And Furious. Will be contacting you again,to replenish my stock. The Peacock Bass seems attracted to Orange & Green bi-colour flies.